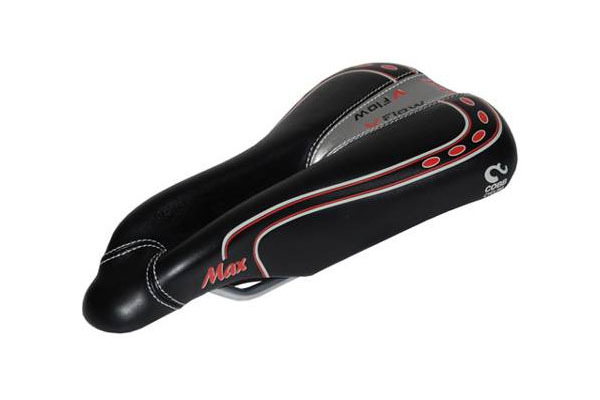 Our best selling Cobbv-Flow saddles turn conventional saddle design ideas on their head. The result? Increased comfort, reduced numbness and better posture on the bike. Don’t take our word for it, read Bike Radars Review and opinions of V-Flow riders on the Bike Radar Website. Suffer no longer! This entry was posted on Saturday, June 11th, 2011 at 6:55 am	and is filed under All Posts, Bike Fitting, Products. You can follow any responses to this entry through the RSS 2.0 feed. Both comments and pings are currently closed.